I will teach you to read the water, listen to your breath and synchronize your entire being to your own vibration so you can find balance in your poses and in your mind. Let me show you the art of letting go, to really understand what it means to go with the flow and to really see for yourself when to yield and when to persevere; Realizations and techniques that are not just limited to SUP yoga, but in life in general. Maintaining the pose, is about developing inner strength, and coordinating your muscles. 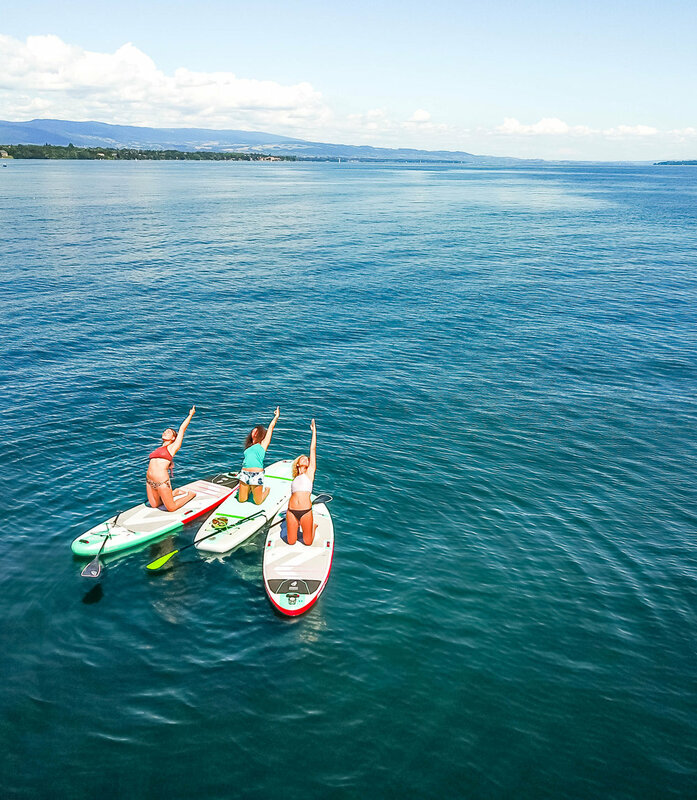 You will learn to tap into your core strength, your powerhouse, which beyond the benefits of practicing on the paddle board, will give you a toned body, relieve lower back problems and develop a strong digestion. You will also discover, more challenging yoga poses you once thought inconceivable on hard land, but with the fear of hurting yourself coming out of the equation, you will begin to realise your only obstacle is your mind. You will learn the balancing act of maintaining equilibrium, and persevering, but also surrendering to currents and changes and learning to fall gracefully.